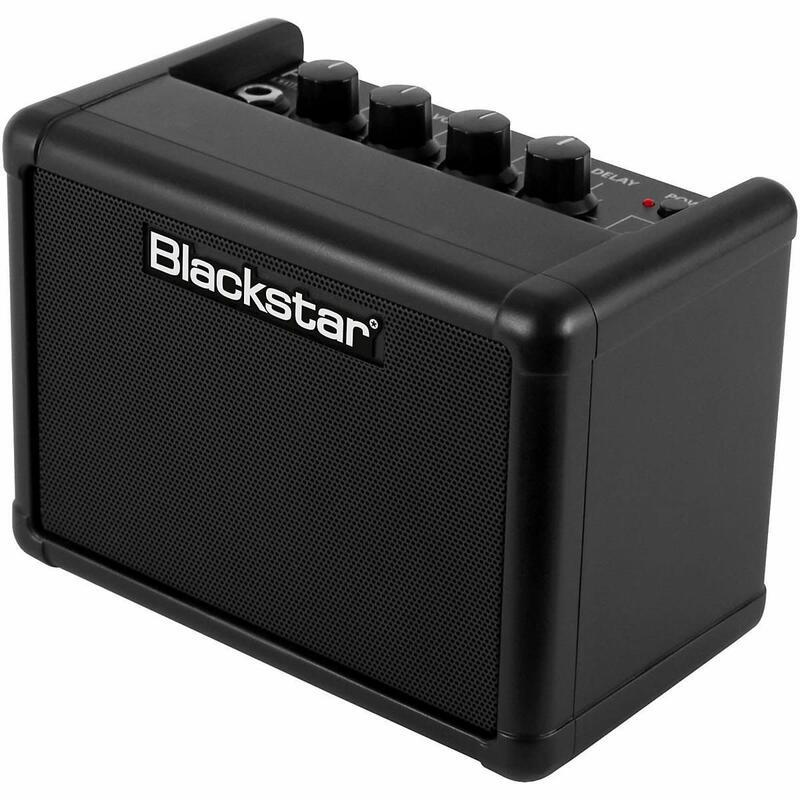 The Fly 3 by Blackstar is a mini guitar amp from one of the best names in the guitar world. Its small size makes it easy to stash in a gig bag or backpack, and because it is powered by batteries, you can play anywhere. 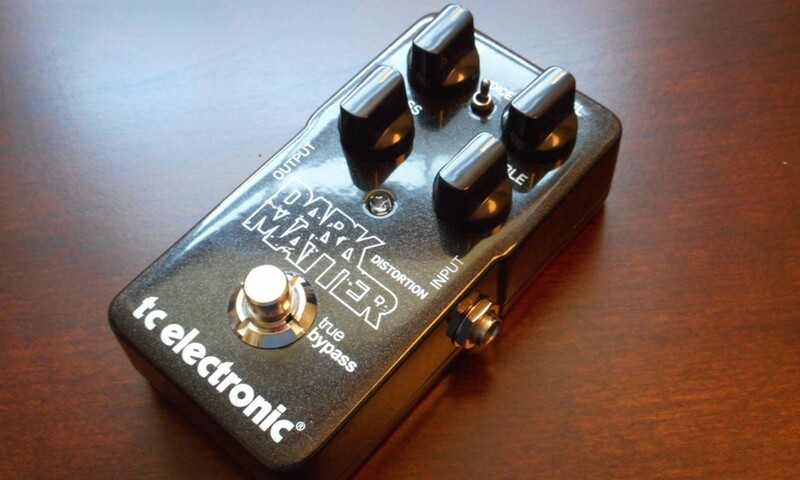 It’s also affordable, and a guitarist looking for small, portable amp for casual playing can grab this little dynamo for around the cost of a mid-level stomp box. There are a lot of battery-powered mini amps on the market today. Brands like Marshall, Fender, Orange, Danelectro and EVH makes some cool little units. Like the Fly, they run on batteries, don’t take up a lot of space, and most of them sound really good. So why should you choose the Fly above the others? You’ll have to make that decision for yourself, but in this review, I can tell you why I went with Blackstar. A few months back I was looking for a mini amp for playing in rooms of my house where I don’t have a larger amp, and for jamming on my deck when summer comes around. I chose the Fly, and I’m pretty happy with my decision. In this article, I’ll tell you what I love about the Fly, what I like, and what could use a little improvement. By the time we’re done here, you’ll have a better idea of whether or not this is the right mini amp for you. After unboxing this little amp, I was immediately impressed by the build quality. Many mini amps have a flimsy feel to them, as though they are more like toys. Truthfully, that’s what many of them are. These units are meant for fun and messing around, not for serious sound. If they are capable of truly decent tone, that’s just a bonus. However, the Fly is solid and has some surprising weight to it. It is plastic, not wood, but it still feels to me like a real guitar amp. It even has a metal grill over the tiny 3-inch speaker. The plastic control knobs are at the moderate quality level you’d expect from a tiny, inexpensive amp. But, the top panel has a crisp look like you’d expect in a much more expensive rig. The jacks are solid with no wobble. Even the odd telephone-like speaker-out jack used for connecting the optional Fly 103 mini extension cabinet seems well-built. The 103 extension cabinet boosts your power to a whopping 6 watts for the whole setup. This gives you the option of building a little stack or creating a stereo setup. I don’t have it yet, but I'm thinking seriously of getting one! In summary, I found a higher level of quality than I was expecting here. I think the Fly is a notch above the typical mini amp, and certainly feels more like a guitar amp should. Input jack: You plug your guitar in here. You know this already, I hope. Gain: Controls the level of overdrive. Cranked up with the OD switch engaged you to get something close to high-gain distortion, or you can dial it back for a more bluesy vibe. OD Switch: Click it on for thicker, richer overdrive. Turn it off for clean sounds. In essence, this makes the Fly a two-channel amp, sort of. Volume: Makes it louder. Or not as loud. At three watts don't expect to shake the walls, but I will say the volume and sound from this little guy are quite satisfying when cranked. EQ: This knob serves more to shape the character of the tone rather than actually providing any functional control over specific frequencies. It is based on Blackstar’s ISF or Infinite Shape Feature control. Leave it at zero for a more “American” sounding overdrive, crank it to 10 for a classic British sound, or find your happy spot somewhere in between. Delay Level: Control the mix level of the Delay effect in your sound. Delay: Control the time of delay. To me, this seems like an odd effect to include in an amp this small, but I believe this goes well with the stereo effect if you were to utilize the 103 extension cabinet. And, if you dial it in right with the Level control you can find some nice reverb-like effects. Power Switch: Turns the thing on and off. You will need this switch every time you use the amp. MP3 / Line Jack: You can also use Fly as a small speaker system, apparently. 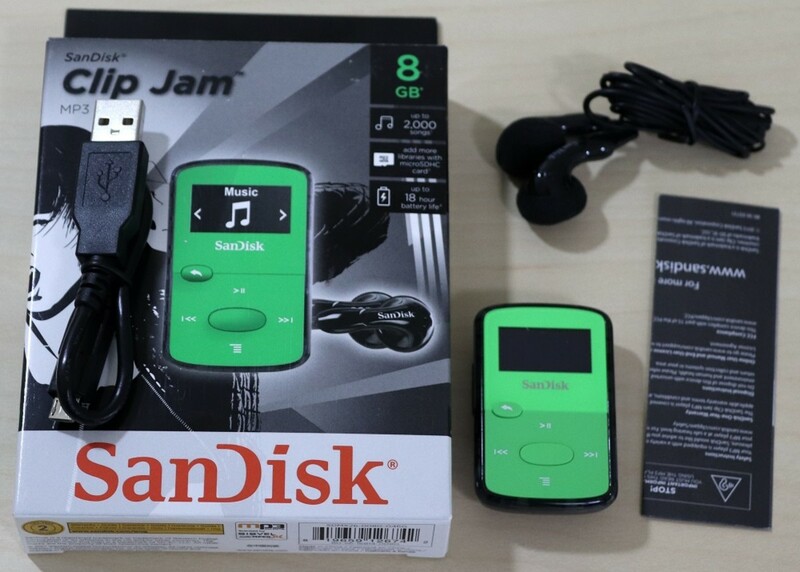 Or, plug in your MP3 with recording tracks for jamming. EM Out / Phone Jack: It’s a headphone jack, but also an Emulated Speaker out. This lets you plug the Fly directly into a soundboard or recording device. Back of amp: Extension speaker jack, DC in and battery compartment. This is why you’re here. The features are nice, and of course, you want a sturdy piece of gear, but if it doesn’t sound good why bother? You won’t have that problem with the Fly. Before I get into my opinions here, let’s first remember that this thing is a 3-watt amp with a 3-inch speaker. If you are expecting the same quality of sound, you’d get out of a 50-watt, 1x12 combo you are going to be disappointed. This is a small amp, and it sounds like a small amp. But it sounds like a really, really good small amp. The overdrive is thick and rich with the switch kicked in, or you can dial back the gain and click off the OD for some clear, clean sounds. The EQ control is limited, but it gives you enough options to create an array of different tones. 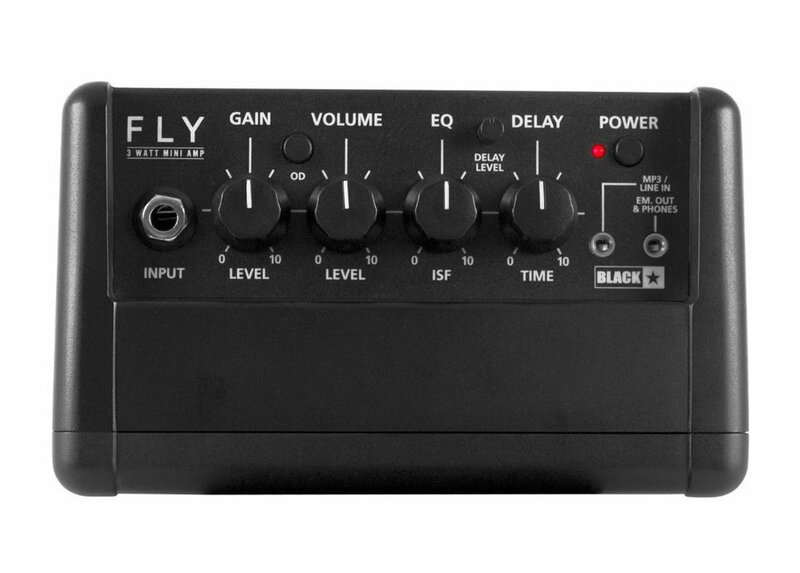 I would go so far as to say the Fly would even make a decent first amp for those looking to save a few bucks when starting out on guitar. 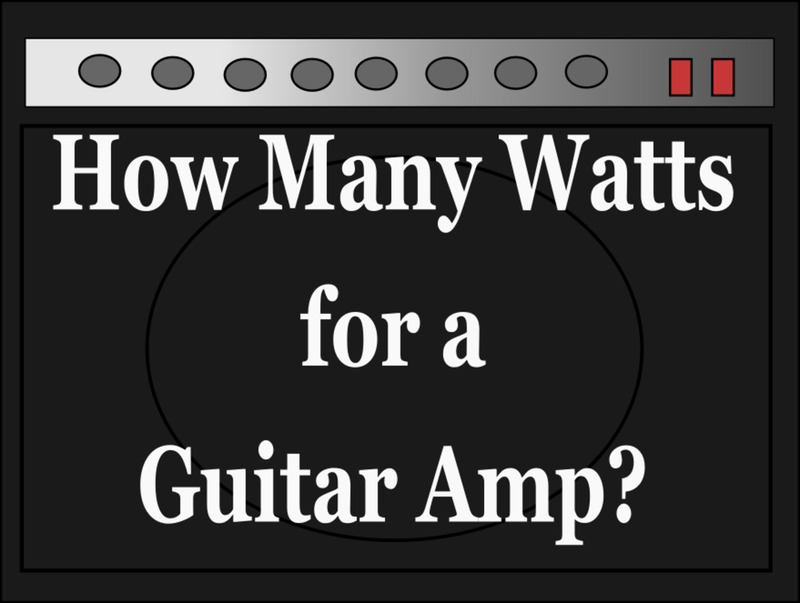 There are certainly 10-watt starter amps out there that don’t sound as good and don’t even include as many features. I believe the excellent sound quality comes from the design of the amp. As I said before, this little box is solid and has some weight to it. Just like with the big-boy amps, a sturdy cabinet goes a long way when it comes to tone. To sum up: Don’t go in expecting high-level sound from a battery-powered mini amp. 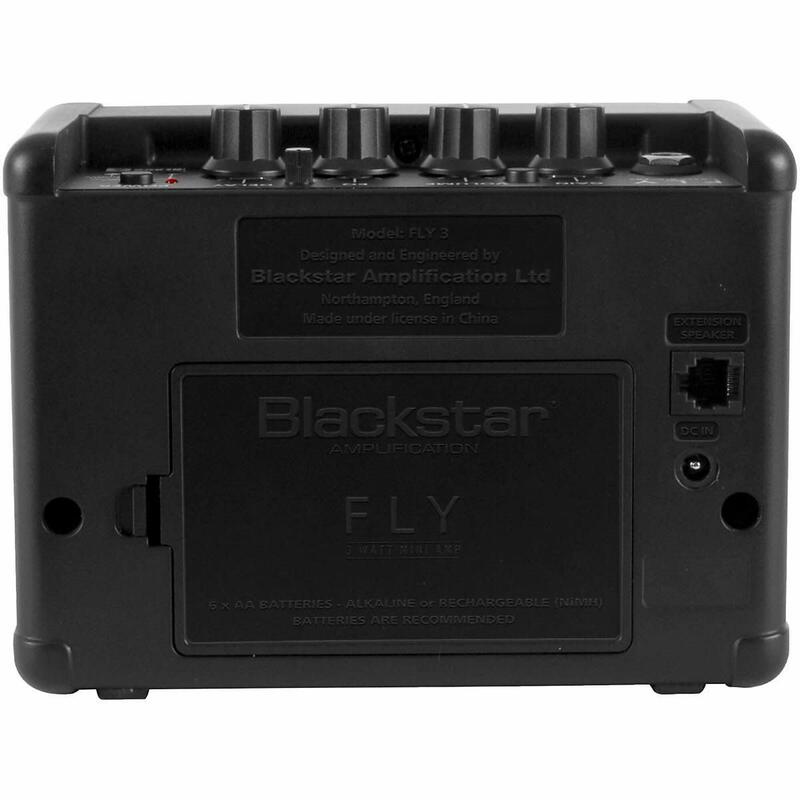 However, if you are looking at other similar amps on the market today, I think you’d be hard-pressed to find one that sounds better than the Blackstar Fly. The Fly is a little more expensive than most of its competitors, but I think the extra ten or twenty bucks is well worth it for what you get. In my opinion, it is easily the best mini amp on the market, with excellent sound and fine attention to quality. So what don’t I like about it? I do find the delay effect odd, and I would probably prefer a simple reverb effect if anything. Truly, I don’t think a little amp like this needs onboard effects at all. I also think it would be pretty amazing if Blackstar were to build on this idea with a version with a larger speaker and expanded EQ section. With a six or eight-inch speaker it would be a more expensive, but I think it would give amps like the Peavey Nano Vypyr a run or its money. As it stands, this is a great little amp. With the option of the extension cabinet you can add a dimension you don’t ordinarily see in amps this size. Finally, the sound is fantastic. 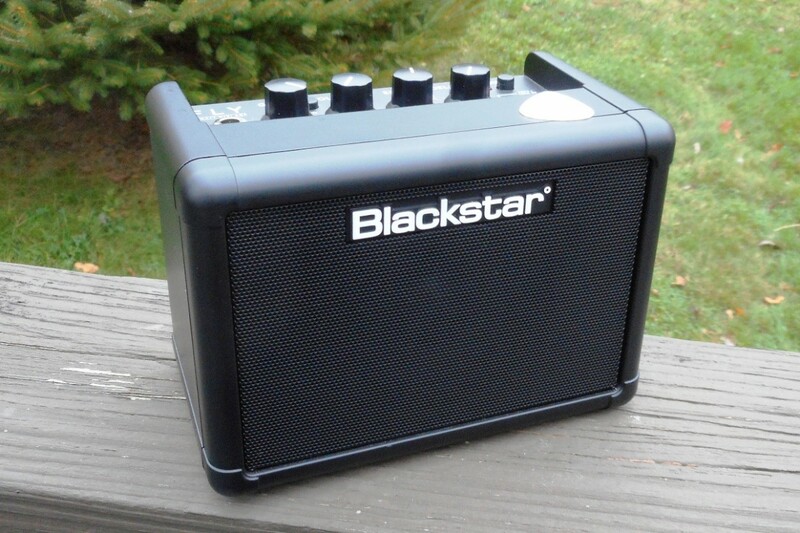 My recommendation: If you are looking for a battery-powered mini amp the Blackstar Fly 3 deserves a serious look. I hope you end up digging it as much as I do! Where will you use the Blackstar Fly? 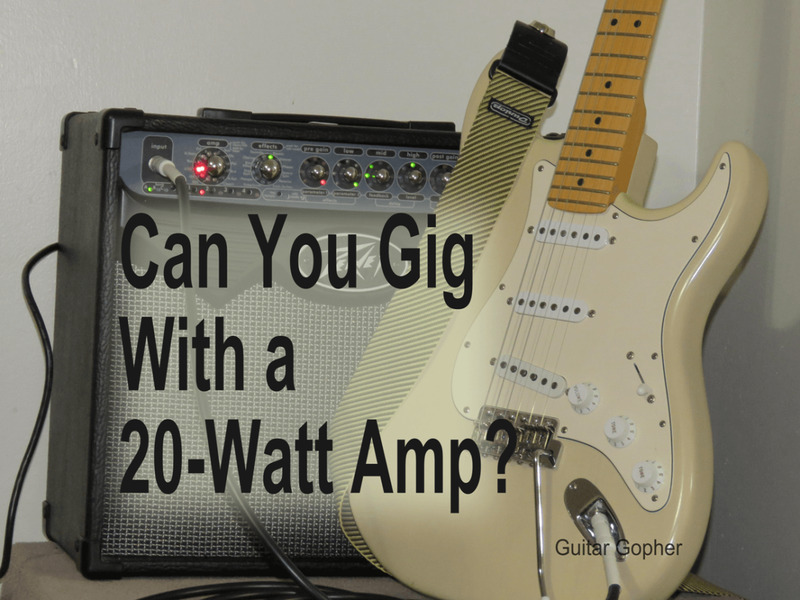 Why do you need a mini amp? For playing around my house. I just want to play outside on nice days. I just think they're cool.